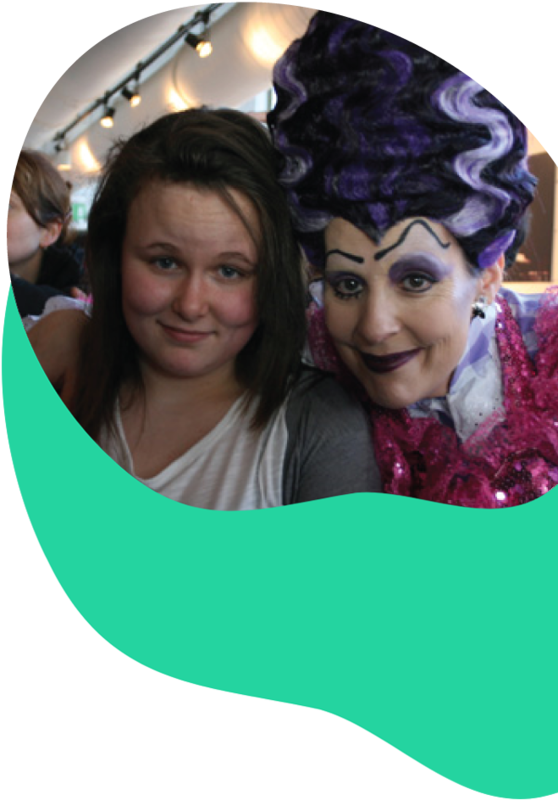 We provide grants for events, workshops and projects for children and young people aged 5-25 who have disabilities and life-limiting conditions in the UK. Applications can be made for grants towards projects advancing the lives of children and young people with disabilities and life-limiting conditions. Your project should provide positive activities and help develop skills. We are particularly interested in projects which are innovative and aim to make a significant difference to the lives of children and young people. Each application will be considered on its own merit. SEND schools and units, children’s hospices, charities and not-for-profit organisations based in the UK are all eligible to apply. Children and young people with disabilities and life-limiting conditions must be the primary beneficiaries. Applicants may apply once a year (31st October to 30th October). If you have previously received an ‘Events & Workshops’ Grant, priority will be given to new organisations and projects. In exceptional circumstances and where budgets permit, we will consider funding for children and young people aged 5-16 without a condition. If a grant is awarded, you must submit monitoring information by the deadline provided. The process of how the grant will be paid (in advance or retrospectively) will be reviewed on a grant by grant basis. Payment will be made by instalments and monitoring information will need to be submitted to support each instalment. You may be visited by a member of the Daytrippers team. If your application is unsuccessful, your organisation will need to wait until the following year to apply for an ‘Events & Workshops’ grant. Applications are accepted all year round, but please take into consideration that we will only approve one grant per applicant per year and you can only have one application per grant category at any one time. Our Events & Workshops grant is open to all projects that do not traditionally fit within the guidelines of our day trip application. We welcome grants for events, residentials and projects for children and young people aged 5-25 who have disabilities and life-limiting conditions in the UK. If you have an idea for a project but aren’t sure whether it would be considered, please feel free to contact us on enquiries@daytrippers.org.uk to discuss with us before you apply. IS IT IMPORTANT HOW MANY CHILDREN & YOUNG PEOPLE WITH DISABILITIES WILL BENEFIT? We do recognize that projects that benefit larger numbers of children & young people may appear as better value for money, but then there are other projects that provide a more valuable experience so each grant will be reviewed by a panel and considered on its own merit. WHEN WILL I HEAR IF WE WERE SUCCESSFUL? After the application has been submitted we will be in touch if we have any questions whilst we process it. Your application will then be reviewed by a Daytrippers panel. You will be notified of our decision within 4 weeks of submitting. IF WE WERE SUCCESSFUL HOW WOULD WE GET THE FUNDING? If a grant is awarded, you must submit monitoring information by the deadline provided. The process of how the grant will be paid (in advance or retrospectively) will be reviewed on a grant by grant basis. Payment will be made by instalments and monitoring information will need to be submitted to support each instalment. WHAT HAPPENS IF MY APPLICATION ISN’T APPROVED? Unsuccessful applicants will be informed by email. Your organisation must wait a year before reapplying. HOW MANY GRANTS CAN WE APPLY FOR? We can only accept submissions for one project idea at a time. You may apply for a grant in each of our funding streams (Day Trips, Events & Workshops and Legacy) once a year (31st October – 30th October). If in receipt of a grant, it must be closed before you can apply for another grant. You may only apply for one grant per funding stream per year (31st October – 30th October). Daytrippers hosted Europe’s largest indoor pan-disability football tournament for a total of nine years, which was attended by 4500 people. 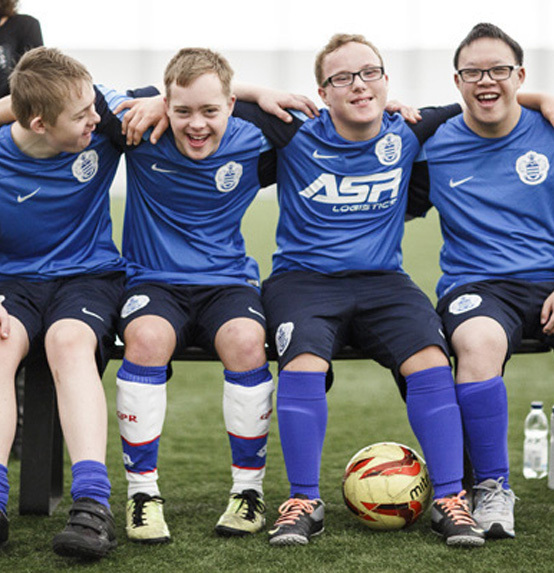 Inviting teams from all over the country to prestigious venue The London SoccerDome (formally the David Beckham Academy), we ensured this was a day out for kids that focused on fair play, inclusion and fun. The theme running through all our tournaments was to encourage every child to participate in whatever way they can, allowing flexibility for all levels of football and physical abilities. Looking back over all of our nine tournaments we were supported by many faces; Colin Nell (the UK’s finest football Freestyler) lead workshops and performances, then the infamous John Barnes attend along with Dave Clarke (Paralypian, Captain of the England and GB Blind Team), & Richard Fox (Paralympian, England & GB Cerebral Palsy player). We are even proud to say that one of the players from our first Daytrippers tournament went on to play for the disabled England team! We also had great donations from Everton, Man City, Man United, Real Madrid & The Mo Farah Foundation. 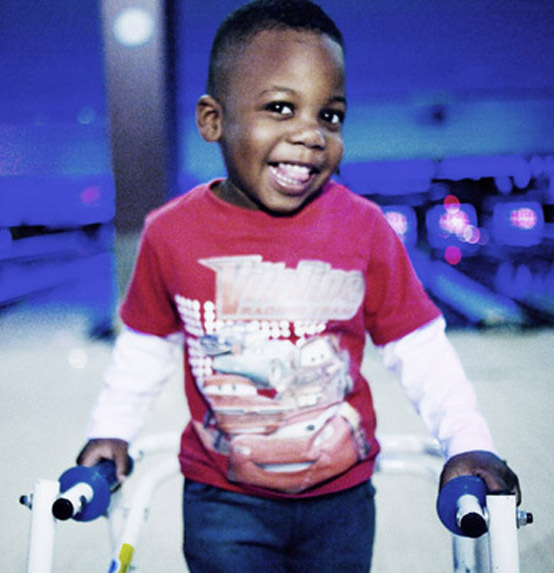 Over seven private events almost 1000 young people with disabilities were able to enjoy our safe, accessible and inclusive bowling parties, creating vital opportunities to make friends, have fun and try something new. Daytrippers privately hired the venue to make it into a fun packed and accessible day for the whole family. Facilities were provided to ensure every young person could take part, allowing everyone to bowl at their own pace and ability, and making it a fully inclusive experience for young people who would normally find going to this kind of day out a real challenge. 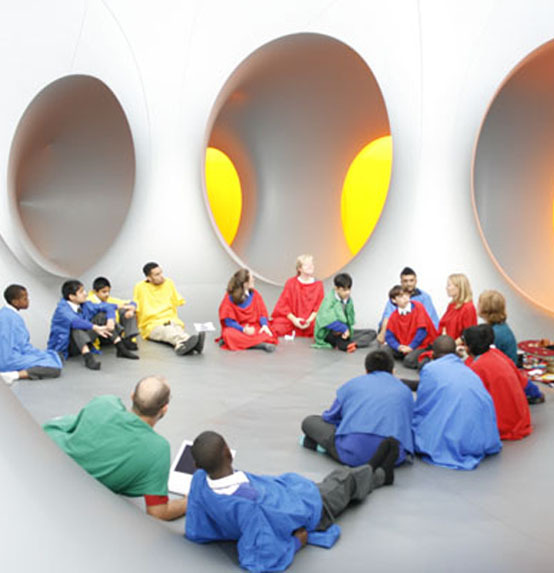 Over eight years 3400 people have benefitted from our partnership with Colourscape where we have provided private days of immersive colour and music workshops with in Clapham, London and numerous locations throughout the UK. For those who have never been inside the multi-sensory walk-in structure, it really is an unforgettable experience. Experienced facilitators were on hand to lead workshops throughout each of the days, ensuring everyone got the most out of their Colourscape experience. The structure’s main dome was filled with music and sound when students were given exotic instruments to experiment with and enjoy. The children and young people also had the opportunity to wander through the chambers and experience the intensity and subtlety of the various lights and colours.